This film inspires anyone who has or thinks they have a major challenge in their life—which is nearly everyone! William “Dummy” Hoy not only beat the odds of a deaf person who was short in stature and light-weight, but he also set a high standard in sportsmanship. The son of an Ohio farm couple, William became deaf at age of 3 from spinal meningitis. Yet, his dream and passion was to play Major League Baseball. William demonstrated some key attributes to success: honesty, character, humility, asking for forgiveness, being a good negotiator, living with passion and persistence, practicing many hours a day every day, setting and achieving goals, finding a mentor, and executing his game plan. These same attributes can, in principle, be used by almost anyone to grow and become better in what they do. 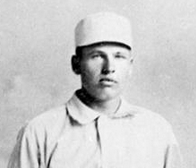 William “Dummy” Hoy was a great ballplayer. After a very poor rookie season in the Major Leagues when his batting average was a meager .216, his creative thinking provided a solution allowing him to raise his average to .369 the following season. View the movie or read the book to discover his successful plan. After two years of professional baseball, William reached his dream of playing in the Major League. Over his 14 year Major League career he achieved an impressive batting average of .288. He had over 1,000 walks and 596 stolen bases. But his real value was his defensive skills. 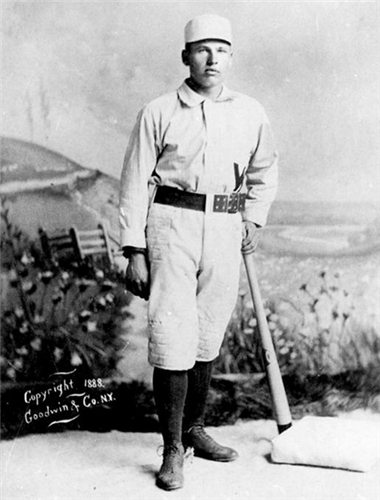 William was the premier outfielder of his era. Watch the film to learn of three astonishing events that highlighted his outfield play—one of honesty, one record that still stands today, and one of the most amazing feats ever by an outfielder that saved a game and won a championship. William is also credited for leadership in pioneering hand signals to baseball, an addition that both players and fans enjoy to this day. So, with his very good offensive statistics, his premiere play as an outfielder, and his leadership in bringing hand signals to baseball, why is William “Dummy” Hoy not in the Major League Baseball Hall of Fame?